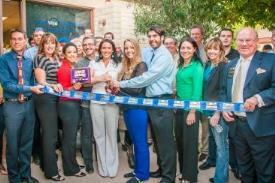 Looking for a Tempe Chiropractor? BodyWise Chiropractic is a little different from other offices. It’s not just our commitment to providing first class health care through natural chiropractic treatments – though that’s part of it. And it’s not just our great rates that provide a fantastic value for our patients – though that’s part of it, too. It’s our whole philosophy. We see you as an individual with a specific set of needs. Whether you’re looking for relief from severe chronic pain, searching for ways to beat the aches and pains of day-to-day living, or seeking optimal health and peak performance, you have come to the right place. We treat every patient as an individual, and it shows. Our first priority is helping you feel better as quickly, comfortably and affordably as possible. We believe optimal health consists of a lack of pain combined with lots of energy and enthusiasm for life. And, we can help you get there. Not only do we provide comfortable chiropractic adjustments, but by simultaneously treating the soft tissue (through stretch and release therapies) we achieve more effective, longer lasting results. 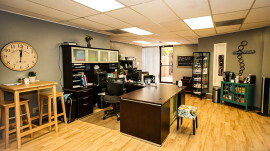 Patients are encouraged to return to the office as needed and enjoy the flexibility our style of treatment provides. 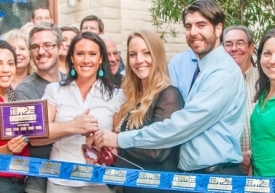 If you are looking for a new Tempe chiropractor, give us a call. We’ll help you see just how simple and affordable it can be to get back into and maintain optimal health so you can truly be free to Choose Your Life.